Help, how to topics > Library Basket, Kit Building > How to create a simple kit report. 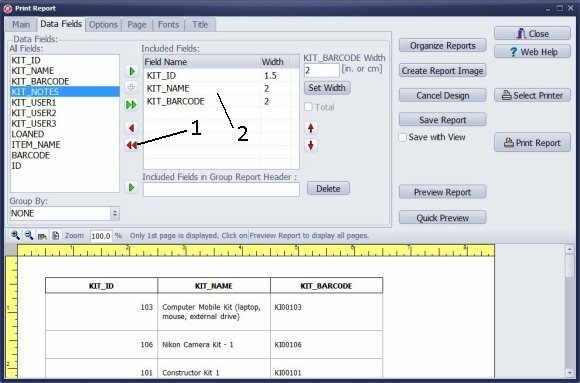 How to create a simple kit report. Click the double red arrow button to remove default fields (KIT_ID, KIT_NAME, KIT_BARCODE) from the Included Fields box. 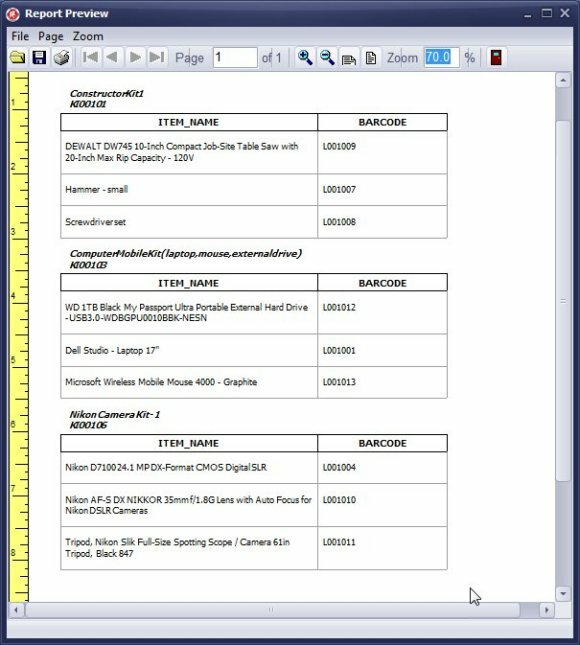 Grouped report by kit content. 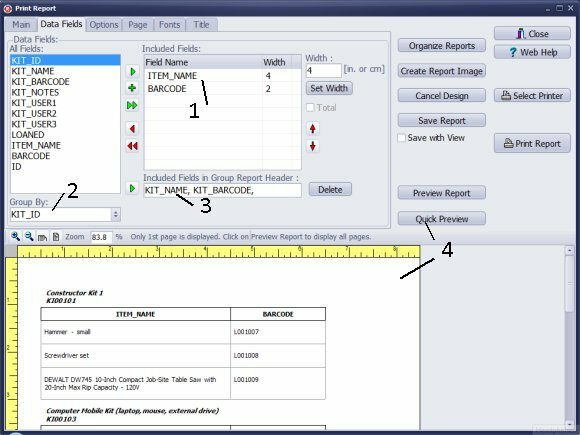 You can create quickly a basic grouped report by using the Print Report wizard. 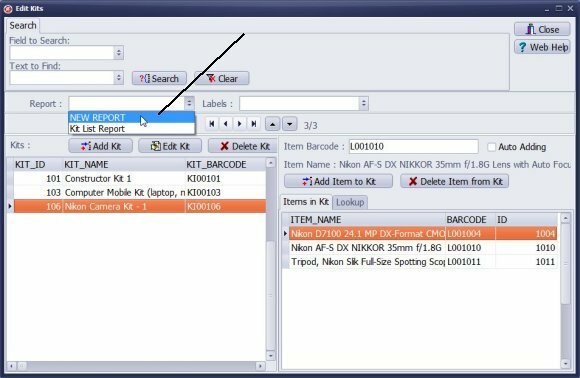 Item name and item barcode will be listed in the kit content part (1). Items will be grouped by kit id number (2) (unique number). Group header will include kit name and kit barcode (3). Click Quick Preview (4) to preview. Review report, modify settings, and print.